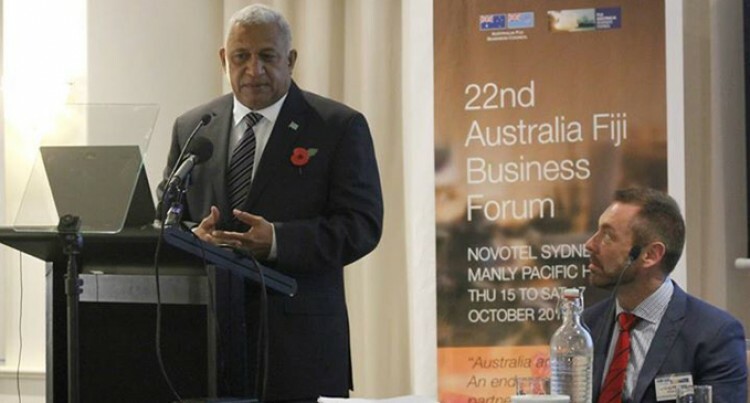 The Prime Minister Voreqe Bainiamarama making his speech durinng the 22nd Australia Fiji Business Forum. The Minister for Agriculture and Rural Development Inia Seruiratu stated a right type of environment is needed if agriculture is to progress in Fiji. The comments were made during an interview with the ABC news in Sydney on Friday. Mr Seruiratu said: “That’s basics and that’s a necessity. For agriculture to be successful particularly to grow and most importantly long term, we need to create the environment. The Minister explained: “For a long time, we have been focusing only in terms of agriculture investment, at production levels but we are not looking at the whole value chain. “We cannot look at production in isolation because for our farmers span particularly given the geographic spread in Fiji for those that understand the spread that we have in Fiji, we need good connections, we need electricity, we need cold storage systems, and of course we need the proper equipments for cartage,” he said. These are all the things that we need so when we are looking at agriculture investment we are not only looking at the production in the farm level, we look at the public good, electricity, water and of course communications is so important and the necessary facilities and most importantly the contribution of the private sector. The Minister believes there is a lot of potential in our local products such as the dairy sector. He added: “While we may not be available to provide all that we have given the weather and the other challenges that we have, but a significant amount of what we import can be produced locally and that is the focus on Government. The Minister said most rural dwellers depend on agriculture as their livelihood fixing agricultural problems may contribute towards alleviating poverty and the other issues that are associated with it. Furthermore the Minister was asked on the tough quarantine rules by New Zealand and Australia and how much of a problem is that I terms of export. He replied: “We are thankful that we are working with the authorities particularly in our two major markets, Australia and New Zealand.